These also freeze well and are good in the freezer for a few months. Sometimes I freeze them and eat straight out of the freezer. This entry was posted in baking, creating with children and tagged butter, chocolate, christmas cookies, cocoa, coconut, cookies, easy, milk, Newfoundland, Newfoundland Christmas, no-bake, sugar. Hi there, glad you did. I guess some things are tried and true! Hope you stop by again sometime. This is one of our very early posts and we have so many newer followers since this post we thought we would share it again. This is a Christmas staple and an excellent addition to any Christmas cookie tray. 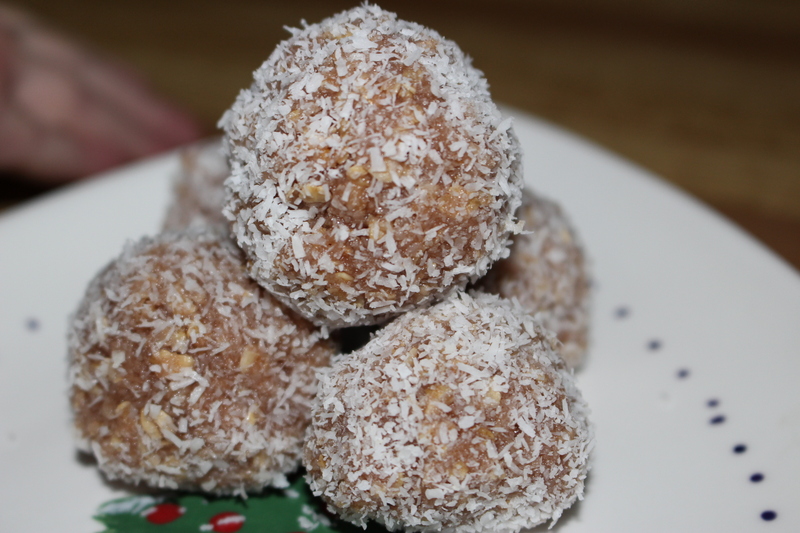 We are making these right now, Evie is rolling in coconut as I type!